In the absence of a credible authority for engaging with whistleblowers, a Citizen’s Whistleblower Forum has been established under the Chairmanship of Justice (Retd.) A.P. Shah. It aims to encourage whistleblowers to send in their complaints to it, with the same being examined and important cases being taken up with appropriate authorities. The Forum also comprises of Admiral (Retd.) L. Ramdas (Vice Chairperson), Ms. Aruna Roy (Member), Mr. Wajahat Habibullah (Member), Mr. E.A.S. Sarma (Member), Mr. Jagdeep S. Chhokar (Member) and Mr. Prashant Bhushan (Member Secretary). “For some time now it has been felt that in the absence of a credible public authority, for entertaining whistleblower complaints, there should at least be a credible body of citizens who may inspire public confidence and the confidence of whistleblowers so that they can approach such a body with the information that they have and that such a body could then, after examining the complaints, taken appropriate action by way of taking up the matters with the authorities concerned or in the courts by way of public interest litigation or at least by way of bringing it to public notice and informing the people of the country,” a press release explaining the need for such forum stated. “We had therefore come together to create such a Citizen’s Whistleblowers Forum for the purpose of encouraging whistleblowers who may be in possession of vital information showing corruption/ malfeasance/ misfeasance in their departments and whose complaints have either not been redressed or who feel that their complaints are not likely to the redressed by the authorities in place, could send them to the Citizen’s Whistleblowers Forum (CWF),” it added. Elaborating on the need for protecting whistleblowers from physical harm or administrative victimization, the press note brings forth the case of Mr. Satyendra Dubey, who was murdered after he complained of corruption in the National Highway Authority of India. 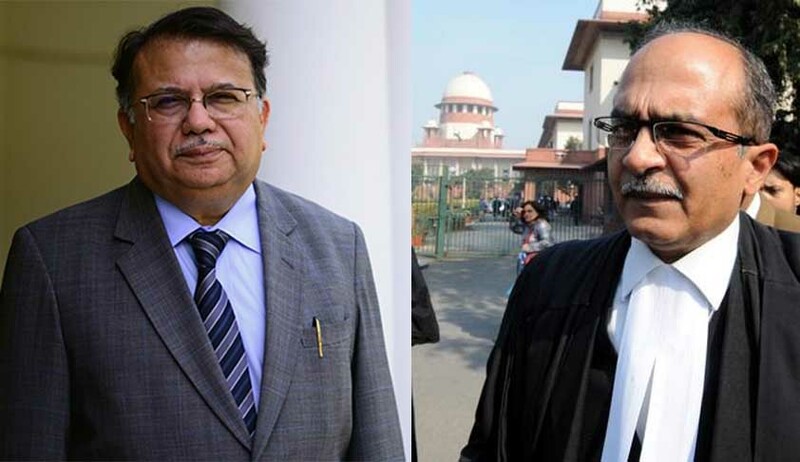 The Apex Court had then urged the Government to put in place a system for examining complaints of whistleblowers, and facilitating independent investigation. The press note goes on to rely on the UN Convention against corruption, ratified by India, which provides that countries shall put in place laws and institutions to check corruption in the private sector as well. The Convention also requires laws to deal with domestic corporations bribing foreign authorities such as the US Foreign Corrupt Practices Act. The press note expresses concern over the proposed amendment to the Prevention of Corruption Act, which mandates prior sanction from the Government, for initiation of investigations under the Act. It thereby calls upon the Government to immediately notify the Whistle Blowers Protection Act, 2011 and to frame the rules thereunder. It further demands that the Lokpal be appointed, and the CBI be placed under its control. The CWF had earlier this month written to the Central Board of Direct Taxes (CBDT), urging it to request a CBI investigation into the Sahara-Birla payoff papers. The CBDT has also been asked to challenge the order passed by the settlement committee, which had granted immunity to Sahara. “The documents recovered in the raids on Sahara and Birla Groups ought to be immediately forwarded to the CBI for a thorough criminal investigation since they reveal bribery of the politicians and civil servants by these two groups,” the letter had said.